ST. GEORGE — Approximately 150 people attended the 12th annual “Prayer Over the City” Saturday, where community members and leaders of diverse faith traditions came together for a “lifting up” of concerns facing our cities and country, while praying for a peaceful and blessed 2017 for all. The Rev. 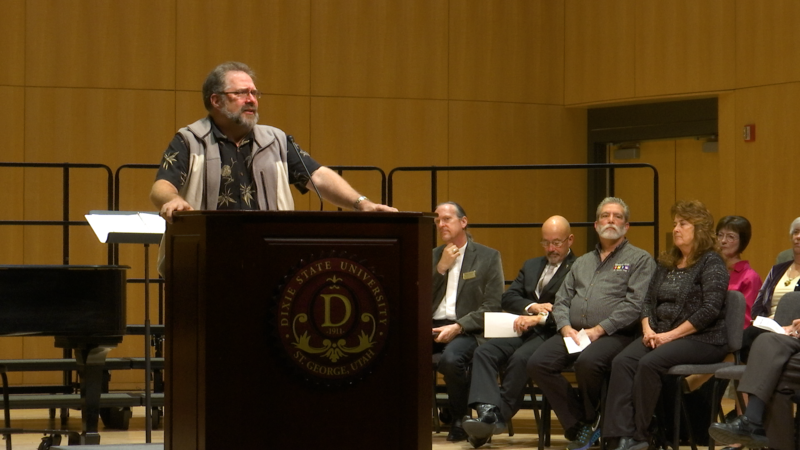 Jimi Kestin of the St. George Interfaith Council and co-pastor of Solomon’s Porch Foursquare Fellowship welcomed the attendees at the Delores Doré Eccles Fine Arts Center on the campus of Dixie State University. Other members of the council were just as enthusiastic. 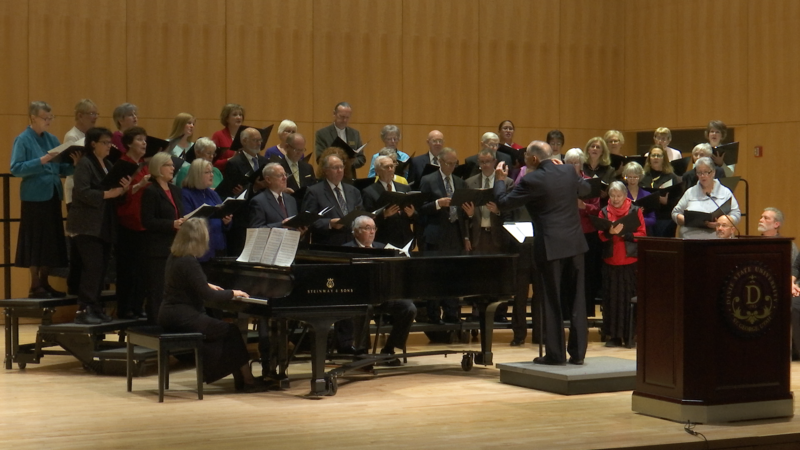 The St. George Interfaith Choir under the direction of John Ribera opened the service with “Homeward Bound.” St. George Mayor Jon Pike addressed the gathering, saying it was his privilege to attend. “This has got to be perhaps my favorite event of the year. So this year, we get to do two of them,” Pike said, referencing the day’s event being held on the last day of 2016 and last year’s being held on the first day of the year. The Revs. Jimi and Rickene Kestin, Solomon’s Porch Foursquare Fellowship. The Rev. Ralph Clingan, Good Shepherd Presbyterian. Marlene Deal, webmaster for the Interfaith Council. Daniel Neville of the 222nd National Guard Battalion, St. George. Russell Cashin, Free Spirit Community. Rabbi Helene Ainbinder, Beit Chaverim Jewish Community of Southern Utah. Carol Drake, St. George Catholic Church. Nancy Ross, Community of Christ. Robert Jensen, The Church of Jesus Christ of Latter-day Saints. Pastor Jonathon Hendren, New Beginnings Christian Fellowship. Pastor James Hetrick, Community of Christ. The Rev. Michael Chamness, Shepherd of the Hills United Methodist Church. After a closing number by the choir, retired Baptist minister the Rev. Alex Wilke offered the benediction.